Telecoms.com periodically invites third parties to share their views on the industry’s most pressing issues. 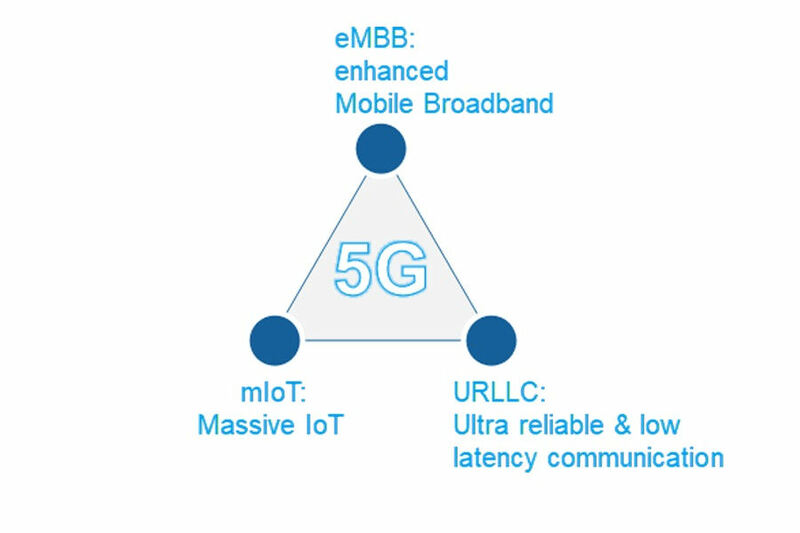 In this piece Arnd Sibila, Technology Manager, Rohde & Schwarz Mobile Network Testing, takes a look at some of the testing needs of 5G. Everyone is talking about 5G but long before commercial 5G services are even available, a myriad of articles, reports, presentations and speeches have been made public – creating a big buzz and high expectations in the new standard. What’s the role of mobile network testing on the path to 5G? How can scanner measurements help operators pave the way to the next generation of mobile networks? This blog series answers your questions about the network testing aspects of 5G. To set the scene, we’ll first look back and clarify one of many fundamental changes that 5G brings. Compared to other generations of mobile networks, 5G represents a paradigm shift in many areas, for example in the development process. Let’s take a look at other generations of mobile communications standards. 2G: The GSM networks met the requirements of a concrete use case and need: it made mobile voice services available to the masses. 3G: After the success of GSM, the standardization bodies ETSI and 3GPP started thinking about a new technology to provide better data services. Very soon, it was clear that the new mobile technology should be based on CDMA, a technology invented in the middle of the last century for military purposes.As a result, 3GPP defined the UTRAN network (UMTS Terrestrial Radio Access Network); its North American variant is the 3G CDMA network. The 3G infrastructure, comprised of NodeB base stations, was made available around the year 2000. However, operational cellular phones were commercially available only many years later, around 2004.Among the most asked questions in those days was “What is the killer application for 3G or UMTS?” It became obvious that the new technology had been defined and standardized without a clear use case or specific requirements. The industry’s new approach during the development process is already one of many areas in which 5G represents a paradigm shift. 4G/LTE: Without a doubt, LTE is a big success, today and in the future. But did you know that it is the result of a lucky coincidence? After 3G’s limited success, 3GPP was determined to improve 3G and started the standardization of the eUTRAN (with “e” standing for “enhanced), which is based on a modulation format called Orthogonal Frequency Division Multiplexing (OFDM). It was by pure luck that the finalization of LTE coincided with the ubiquitous availability of the Internet in fixed networks. Along with the massive use of mobile data applications on smartphones came the long anticipated data explosion in mobile networks. This lucky combination enabled the success of LTE. Nevertheless, just like with the previous standard, the 4G technology had been defined and standardized without a clear use case or specific requirements. 5G: In view of what we’ve seen so far, it appears that the community has learned from the past. Before discussing new technologies, the industry researched and assessed the use cases and needs that 5G should fulfill. After a general agreement about the use cases, requirements were defined, including data rates, carrier bandwidths, latency values, number of devices, etc. It was only after having reached a consensus on use cases and requirements that the 3GPP identified, discussed and evaluated candidate technologies. This process is still ongoing, and with Release 15 of March 2018, 3GPP has provided the initial 5G standardization framework called 5GNR(5G New Radio). 5G mobile network testing: why now? Traditionally, mobile network testing activities take place once commercial networks are up and running. Commercial 5G networks will not roll out before 2019. But every new generation and technology starts in the lab, with research and development conducted in early trial networks. The same applies to base stations and smartphones. Yet despite extensive network simulations, it is often unclear how a new technology behaves in real environments. Trials are the only way to provide insight. The most interesting parameter in these early mobile network trials is coverage. It is of utmost importance to get real-world information about a mobile network’s coverage to understand the new technology and tune algorithms, for example in network planning tools. Already today, network test tools from Rohde & Schwarz mobile network testing support early trials and pre-commercial 5G use cases, for example in the US. The US operator Verizon Wireless got spectrum in the 28 GHz band via an acquisition and decided to use it for a Fixed Wireless Access (FWA) application. Together with Korean operators and other industry players, they created a specification called 5GTF, published in June 2016. PHY/L1, MAC/RLC adaptations, new physical signals and new or extended PHY channel/functionality. Since the FWA application is designated for customer premises equipment (CPE), mobility is neither targeted nor specified. The focus is on overcoming the higher path loss in the 28 GHz band in order to provide high user data rates to be able to compete in the fixed network area. Discover the latest in 5G test technology from Rohde & Schwarz at 5G World, London, June 12-14, 2018. Join the experts at booth 5G416 and discuss innovative test solutions addressing 5G use cases.